This flu season in Massachusetts has seen a nearly 70 percent increase in documented influenza cases from last year’s season, according to statistics from the state. Laboratories confirmed instances of types A and B influenza in the state increased from 1,298 during the 2017-2018 flu season to 2,194 so far in the flu season for 2018-2019, according to statistics published by the state’s Department of Public Health on Friday. The statistics come after Massachusetts also reported “widespread” influenza activity, the highest level of flu activity designated by the Centers for Disease Control and Prevention. The state reached that level by mid-December. Labs in the state report all positive flu tests to the department. 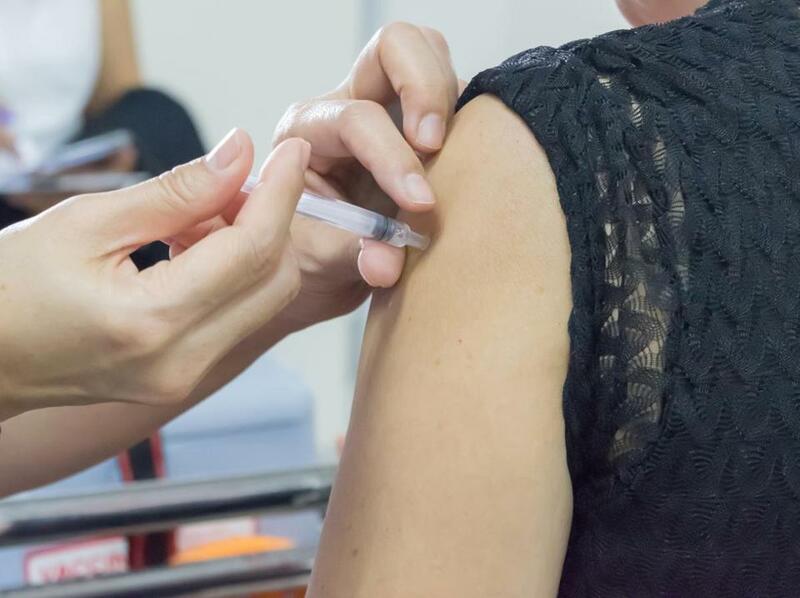 The majority of flu cases are not tested, however, meaning that the number of “confirmed” cases in Massachusetts does not reflect “the overall incidence of influenza,” according to the department. However, the data on confirmed cases can help track the types of flu that are circulating, and can be a useful indicator of the presence and distribution of the flu in the state, according to public health officials. Dr. Larry Madoff, the director of the state division of epidemiology and immunization, said there are no specific factors that contributed to the increase. Flu seasons can vary, but, according to the CDC, an uptick in flu cases typically starts in October. Flu activity peaks between December and February, although flu season can last as late as May, according to the CDC. Both Type A and Type B influenza cause a similar syndrome marked by fever and respiratory symptoms, said Madoff in his statement. Both types are included in all of the influenza vaccines that are given seasonally, according to Madoff. The predominant strain this year seems to be H1N1 and the vaccine is expected to be effective, Madoff told the Globe last week. It can be hard to tell the difference between a flu and a cold, as the two illnesses can have similar symptoms. Colds are more likely to produce stuffy and runny noses and usually don’t result in serious health problems, according to public health officials. The flu can have very serious complications including inflammation of the heart, brain, or muscle tissues, and multiple organ failure. With the flu, an infection of the respiratory tract can lead to sepsis, according to the CDC. Public health officials are urging everyone to get vaccinated in an attempt to limit the spread of the virus. During last year’s season, 185 children flu deaths were reported to the CDC. Antiviral drugs can lessen symptoms, and shorten the time you are sick and previous complications from the flu, like pneumonia, according to public health officials.